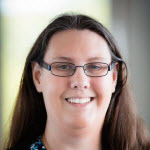 Rebecca Green is the Lead Human Factors Researcher at Cerner in Kansas City, MO, where she has been promoting usability and user centered design for both desktop and mobile applications. She received her Ph.D. at North Carolina State in Human Factors Psychology and her undergraduate studies at the University of Pittsburgh in Bioengineering. Her research experience has taken her from auditory learning and traumatic brain injury therapies to Situation Awareness and workload. Her most recent research has been on Automation, Cognitive Modeling, and Situation Awareness. Becca was the principal researcher for Cerner’s PowerChart Touch application which won the International User Experience Bronze Award for Best Clinical Health Application.